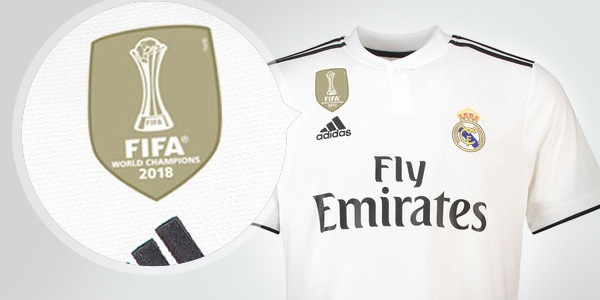 Real Madrid La Liga home jersey from a branded Adidas collection for the 2018/19 season. This is a special version of the jersey with the La Liga logo on the sleeve (code: CG0550). After unsuccessful attempts with the pressed badge of the club, the manufacturer once again made a decision in the fans favour - the badge of the club is sewn, which not only affects the durability of the shirt, but also highlights the most important symbol of the club.